1 Excavations undertaken between 1980 and 1985 in advance of gravel extraction. The earliest material dates from the Late Neolithic. The main concentration was in the NW of Field 2 and consisted of a series of post holes which do not appear to make a coherent structure. One contained sherds of Mortlake Bowl, a second a fragment of Peterborough Ware, and a third a fragment of Grooved Ware. A sub-circular pit 150m S produced a single sherd of Peterborough Ware. Other features in this area may also have been Late Neolithic. A Group I polished stone axe, originally from Cornwall, was an unstratified find, and a fragment of a greenstone axe, probably from Great Langdale, Cumbria (Group VI), was found during the Excavation of a barrow ditch. 2 Early scheduling record. SAM 143. 5 Description of 1980-85 Excavations. 7 Two undated pits were uncovered during a watching brief at Wasperton Manor House (MWA 2204) very close to this site. 8 A number of flint wasters found. 10 Early sheduling record. SAM 144. 11 Early sheduling record. SAM 146. 13 Report of salvage work in 1981-2. 14 Report of salvage work in 1983. 15 Report of salvage work in 1984. 18 Annotated plan of the complex of settlements. 19 Information about the dates and locations of TL samples. 20 Account of the site. 21 Sketch plan showing location of metal detector finds. 24 Drawings of pottery sherds. 25 Synopsis of the site with plan of the cropmarks. 26 Report from 1982 almost the same as WMA vol 25. 27 Report from 1983 almost the same as WMA vol 26. 28 The site is no longer scheduled. Title: An archaeological watching brief at Manor Farm, Wasperton. The word ‘Neolithic’ means ‘New Stone Age’. Archaeologists split up the Neolithic period into three phases; early, middle and late. The Neolithic period comes after the Mesolithic period and before the Bronze Age. People in the Neolithic period hunted and gathered food as their ancestors had but they were also began to farm. They kept animals and grew crops. This meant that they were able to settle more permanently in one location instead of constantly moving from place to place to look for food. The Bronze Age comes after the Neolithic period and before the Iron Age. The day to day life of people in the Bronze Age probably changed little from how their ancestors had lived during the Neolithic period. They still lived in farmsteads, growing crops and rearing animals. During the Bronze Age people discovered how to use bronze, an alloy of tin and copper (hence the name that has given to this era). They used it to make their tools and other objects, although they continued to use flint and a range of organic materials as well. 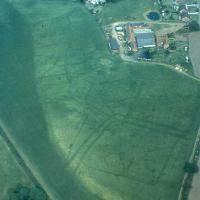 A range of bronze axes, palstaves and spears has been found in Warwickshire.